David qualified from Guys Hospital Dental School in 1979 during which time he also won the David Frank Sturdee Prize in Prosthetics. Particular interests include endodontics & advanced restorative work including minimally invasive bonded ceramic. He is a member of the British Dental Association, the British Endodontic Society, the British Society Of Periodontology, and is registered with the General Dental Council. 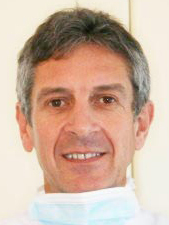 From 1986 to 1999 he owned private practices in Devonshire Place and Harley Street, gaining valuable knowledge and skills of advanced techniques and excellence in dentistry. Our Leatherhead practice was established in 1997 to compliment the London practice, and as this grew finally a complete move was made to the Crescent. David has had over 35 years experience in general dental practice and has attended many advanced courses and workshops in all areas of dentistry. He is a keen sailor and gardener, and enjoys cycling and skiing. Dr Mark Wright is our implant surgeon. He qualified from Kings College Hospital School of Medicine & Dentistry in 1980, and has continually expanded his knowledge and experience. He is a member of several prestigious dental associations and committees in both the UK and Europe and is currently the Regent for England, Scotland and Wales for the European section of the International College of Dentists. 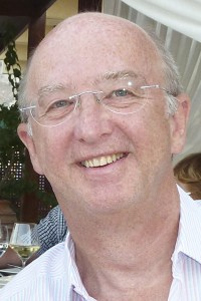 Mark has taught at Kings College Hospital School of Medicine and Dentistry and lectured in many areas of dentistry. He is also on the editorial board of a prominent dental journal. Mark has a wealth of experience in dento-alveolar and implant surgery. He is one of the few dentists in the UK to have been awarded the Diploma in Implant Dentistry from the Royal College of Surgeons at the Advanced Level. Outside of dentistry, Mark’s achievements include supporting the interests of his three daughters, all now in their twenties, with his wife Caroline. Mark also likes to stay active outdoors; he is an avid skier and hill walker, as well as enjoying sailing and taking in a round of golf whenever he can. Francesca is a very valuable member of our line up having qualified from one of the country’s top training institutes, the Eastman Dental Hospital in London. She is an enthusiastic member of the periodontal team, is passionate about her chosen profession and is keen to help you keep your teeth for life. Her primary focus is on the prevention of disease, arrest of active disease and helping our patients to maintain a good standard of oral hygiene at home. In Francesca’s spare time, she enjoys walking, travelling, cooking and looking after her 3 young children. 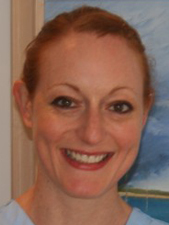 Francesca is a member of the British Periodontal Society and of the British Society of Dental Hygiene and Therapy.